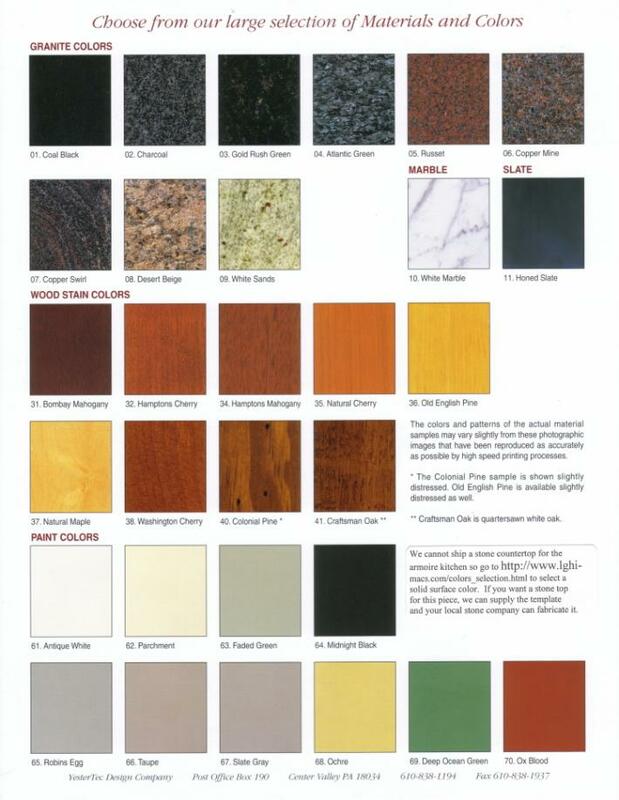 The YesterTec Color Chart contains our standard choices for stone tops, wood types, stained and painted wood colors. The Stealth line has additional choices. Custom wood types, stain and paint colors are available as well. Custom stone colors need to be sourced locally. Due to the increased possibility of breakage during transit, stone tops with two cutouts must be sourced locally, in which case we can provide the required template. Next ArticleYesterTec’s Gritty Pieces Turn Cabinet Builders into Heroes!